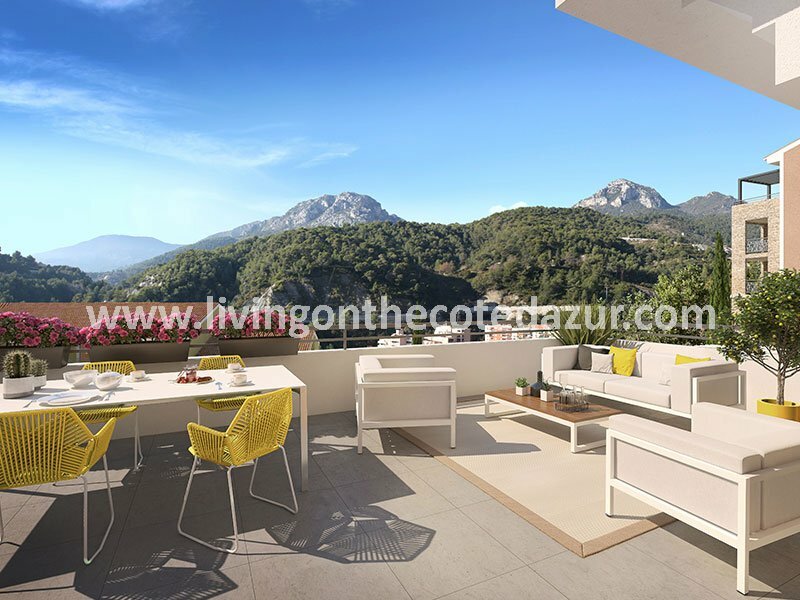 New build villa apartment constructions on the Côte d’Azur gives every buyer the opportunity to make a great investment for the future. 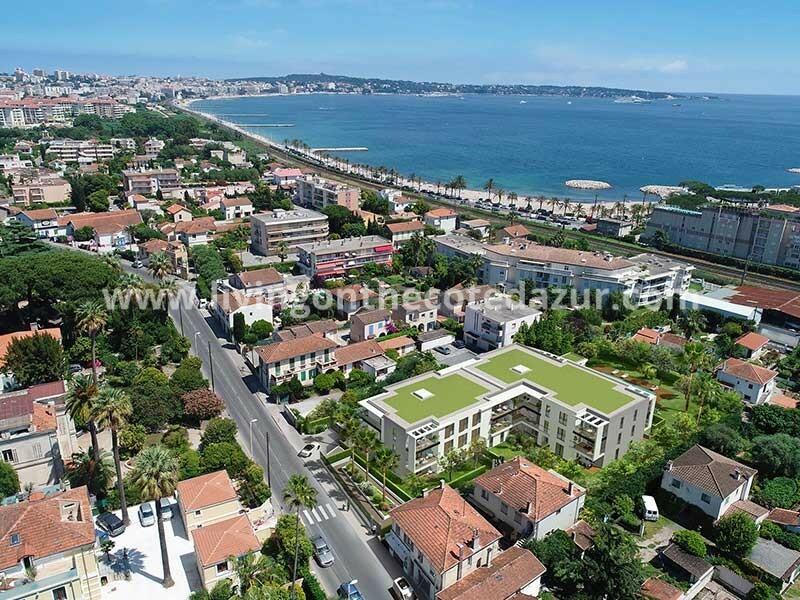 There’s lots of demand in quality new real estate and just a few building plots available on the French Riviera, so every time the real estate developers find a new spot, it is best to act fast. Otherwise, you will see the high crane when it’s too late. Once the crane is installed on the building plot, the construction starts, and that means that 70% of the project is already sold. 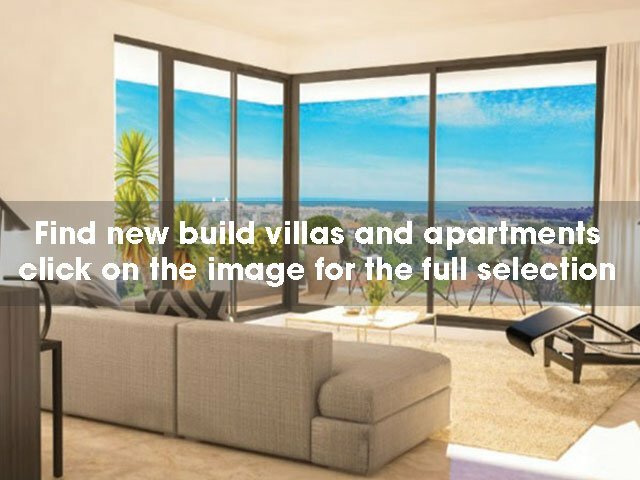 Townhouses in the centre of Antibes, a luxury new build apartment in a large villa at the seafront in Sainte Maxime or a brand new villa in Mougins, we know where to find these new development property gems before they hit the market. 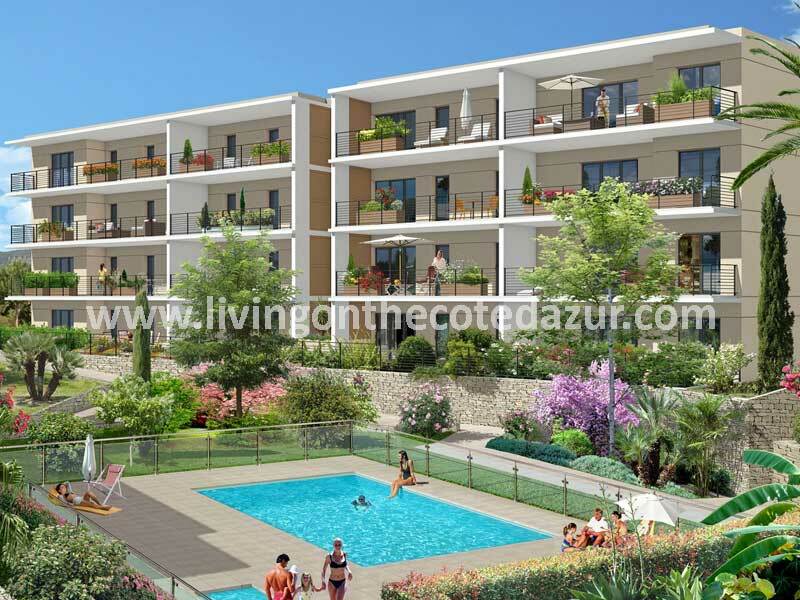 Living on the Côte d’Azur is proud to say that we always have a large selection of available new projects, in different sizes and prices. Because of the modest size of most projects; there are often just a few apartments in a domain. If you want to see our listings in new build real estate, click on the image below. France is leading Europe when it comes to environmentally friendly construction and building. The mandatory energy class for developers is the highest, and therefore all new build villas en apartments are very low on energy usage. With smart heat pumps and solar panels you can save lots of money on energy to heat or light the building. 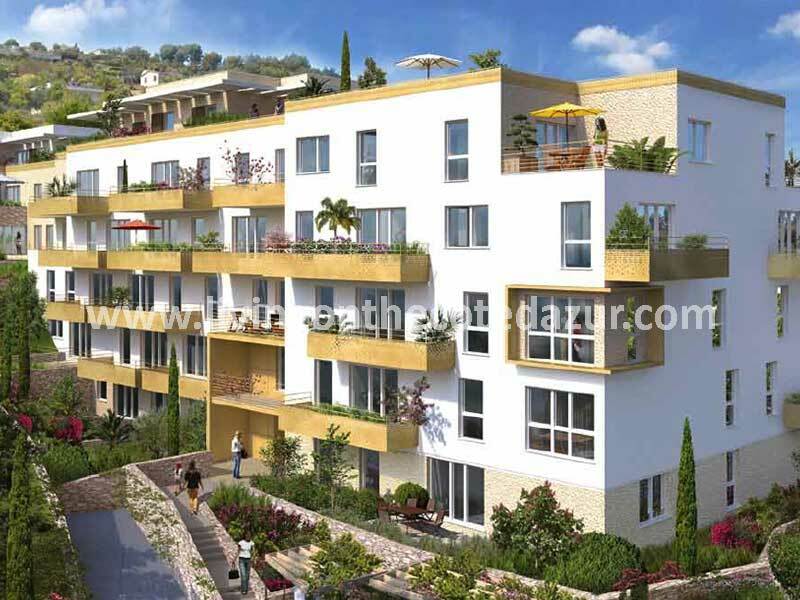 Finding a new villa on the Côte d’Azur asks for a specific alert; most of the development is apartments. But we have them; in Biot, in Mandelieu, Mougins, and in Saint Maxime. 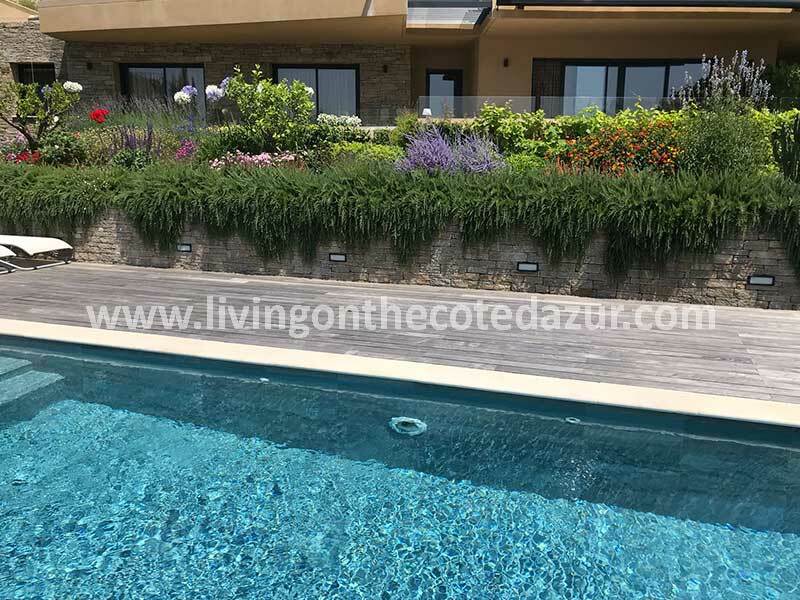 The significant part of finding a newly constructed villa before it is built is that you can talk to the architect and builders and move some walls the way you would like them to be. Maybe a larger bedroom, or an extra walk-in wardrobe; in the stage of blue prints, things can be added or adjusted for a small fee. 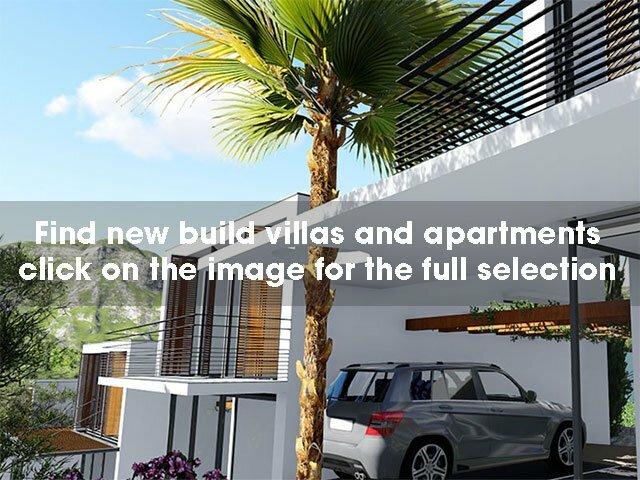 Find your new build villa and make it your own. 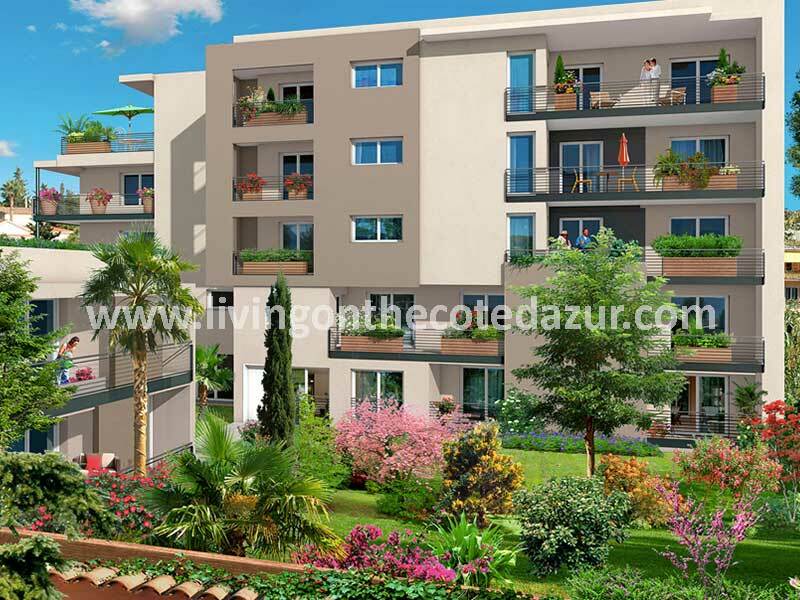 New apartments in the South of France are available in a large variety and pricing. 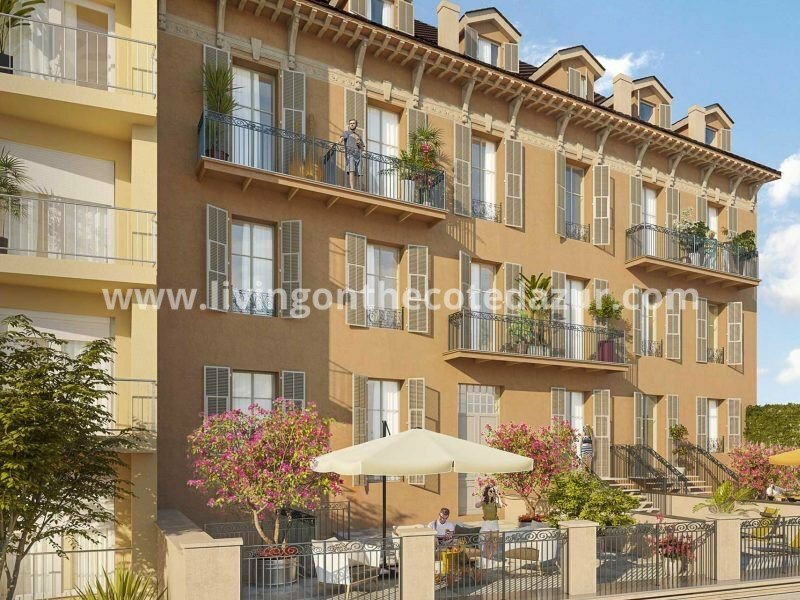 A small studio in the center of Nice can be found for as little as 100.000 euros. 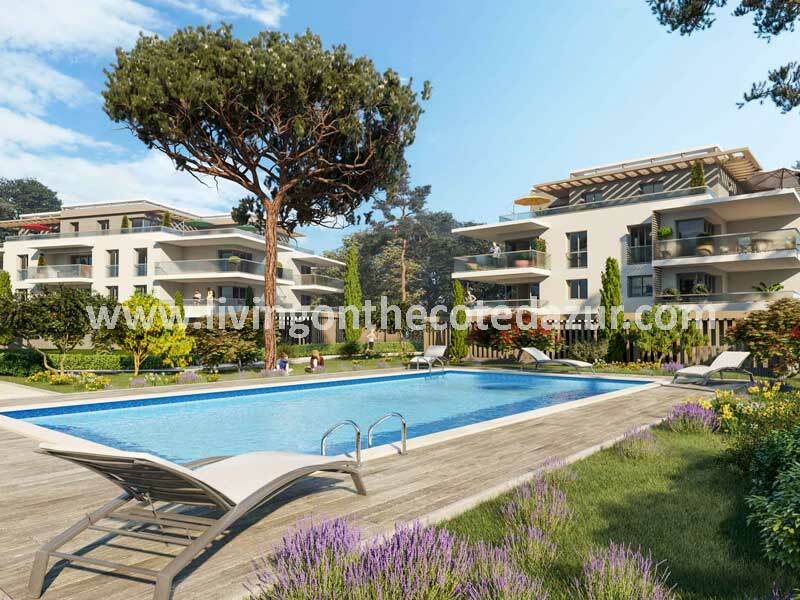 In average, you can say that a two bedroom apartment will cost around 400.000 euros. 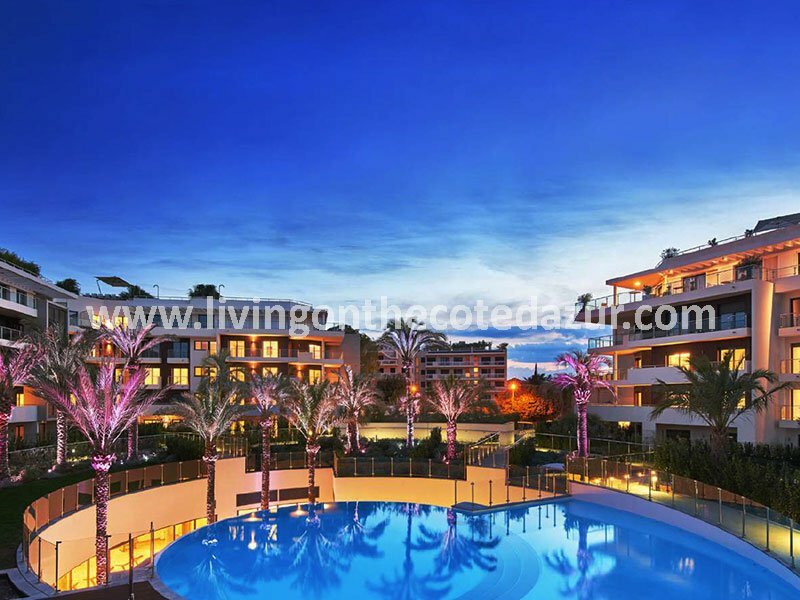 And a one bedroom can be acquired around 300.000 euros. 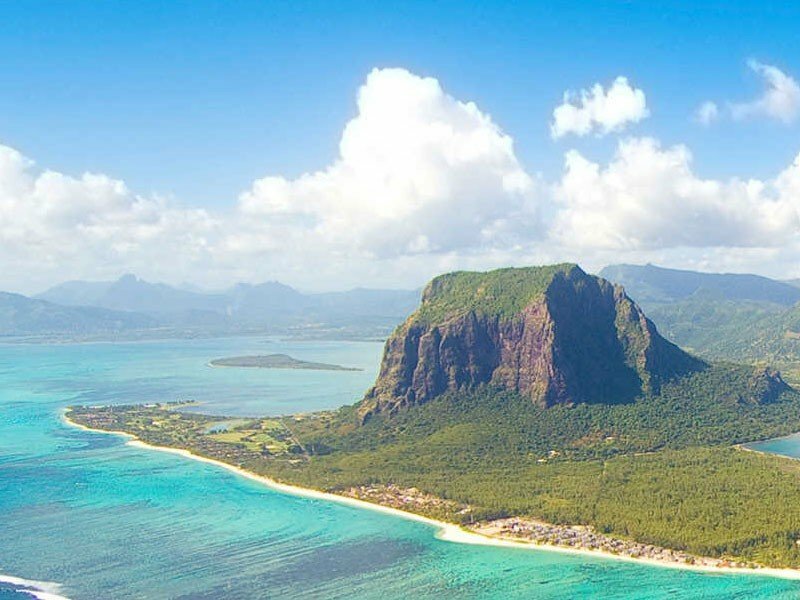 But it all depends on the area, the situation and distance to amenities like shops and beaches. If there’s a swimming pool, you will pay a higher service fee. 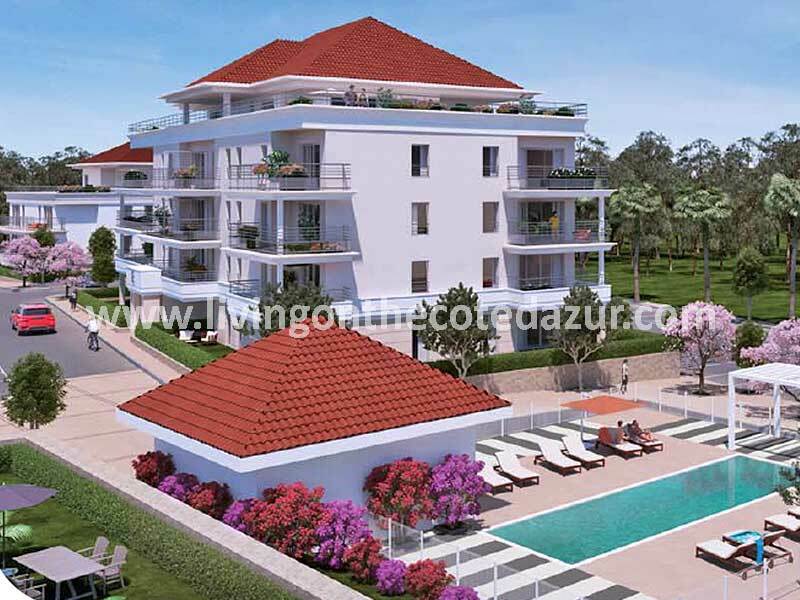 The amount of the service fee is roughly calculated as 2-2,5 euro per square meter living space for a primary domain, up to 5 euros per square meter living space for a residence with swimming pool and other facilities like a tennis court. 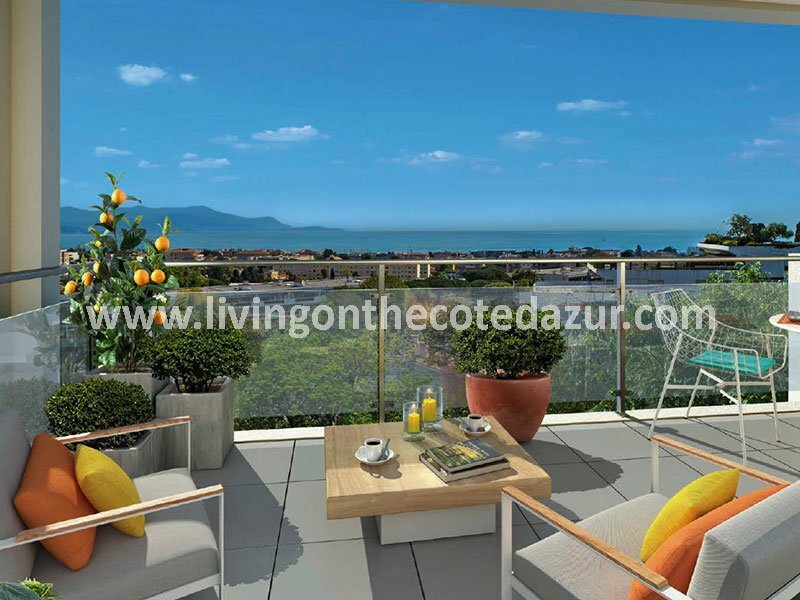 On our French Riviera real estate website we also have new super luxury apartments in an exclusive residence on the Croisette in Cannes for 3 million euros. 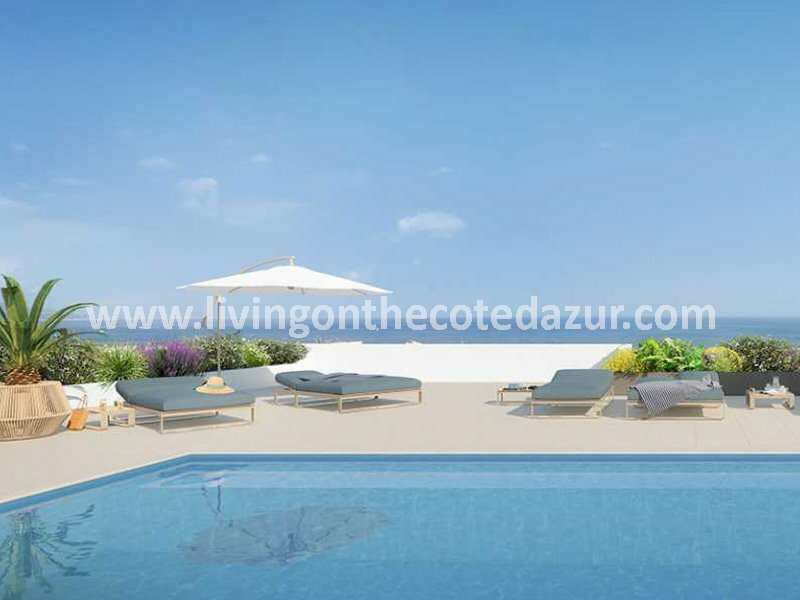 Or a seven bedroom new penthouse apartment with 150 sqm terrace for two million euros. New build apartments are modern in design and energy friendly. Trends are followed in the choice of materials; like woodlike stone tiles or large 60 x 60 cm tiles in the bathrooms. 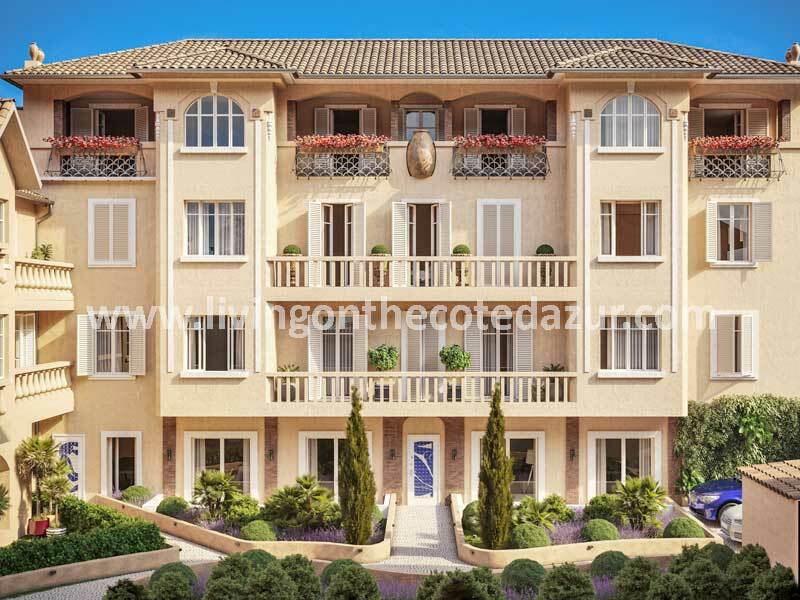 Sometimes the developer builds new construction apartments in an old townhouse or villa, following the original spirit of the building and specific design like in the art-deco villa in Cannes. 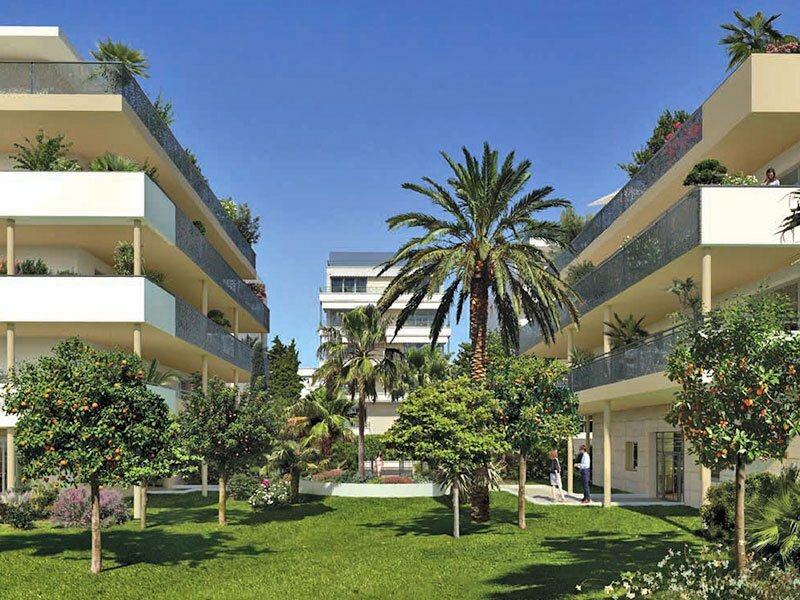 Every new build apartment or villa is delivered with finishing in perfection. After all, the architect must sign off every step in the building process. Only when this has happened, the next tranche of payment must be made. So yes, it will look like the artist’s impression in the brochure and probably even a lot better. Roads, parks, walking paths, borders, everything is new and the plants on the Mediterranean are lovely to watch and to smell. 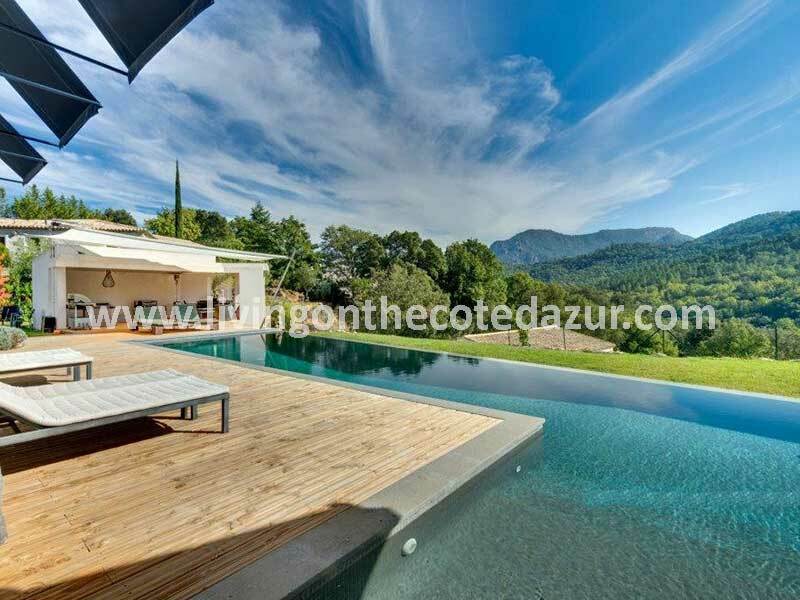 So once you receive the key to your new property on the Cote d’Azur, you will feel immediately at home. With lavender blossoms around your nation or terrace, you know you’re in the South of France. 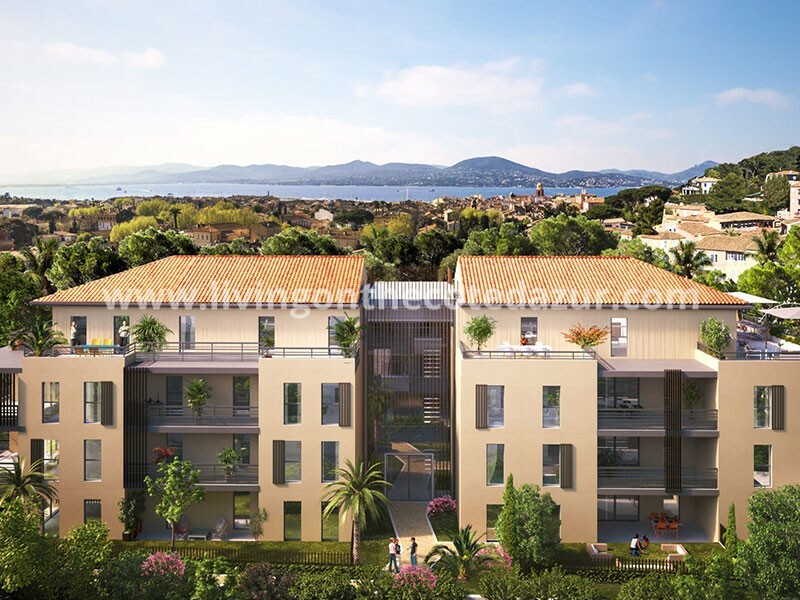 Buying a new apartment in the South of France is a matter of finding an agent that sends you regular mailings about new projects. 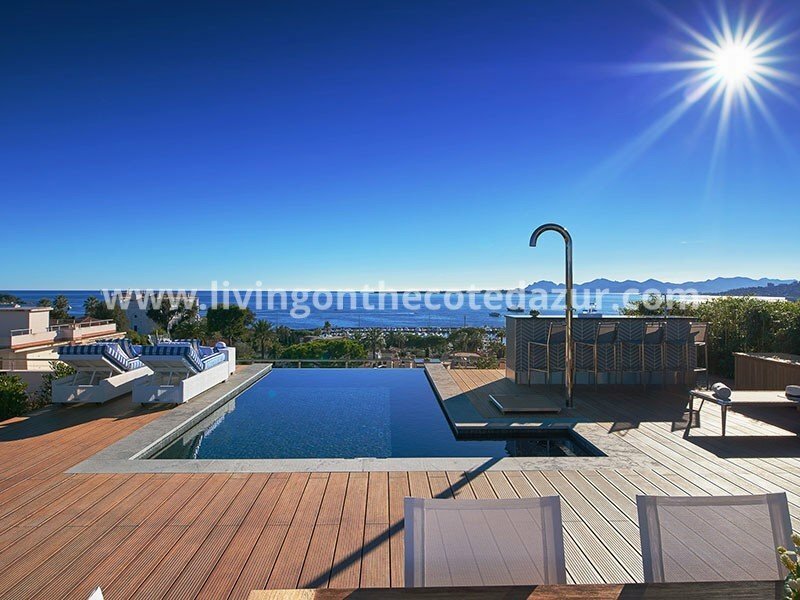 If you want this, sign up for our French Riviera newsletter here. Some people tend to wait until they come over, but we must warn you; by then we have to disappoint you for those top floors apartments. Top floor apartments are most wanted and not just because they come with the best views. Top floors are rare and therefore more valuable then apartments on the first, second, or third floor. And if you are a smart investor, you will know that you can resell a new apartment from the day you have the keys in your hand. There are no restrictions in speculative investing; profits of 30-50% are easily made this way. 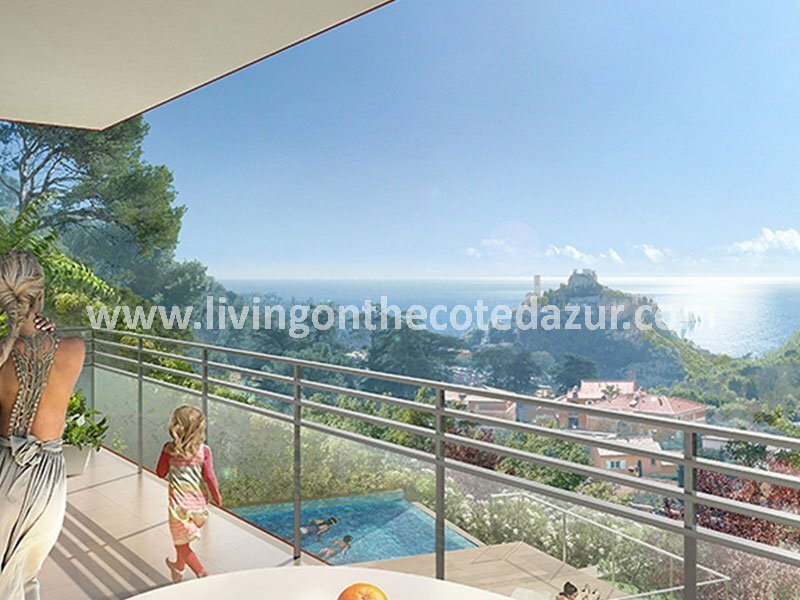 If you don’t want to miss the top floor opportunity: contact Living on the Côte d’Azur and ask us to keep an eye on the projects for you. We can make an instant reservation, so you have time to book a ticket and come over to sign the preliminary buyer’s contract. 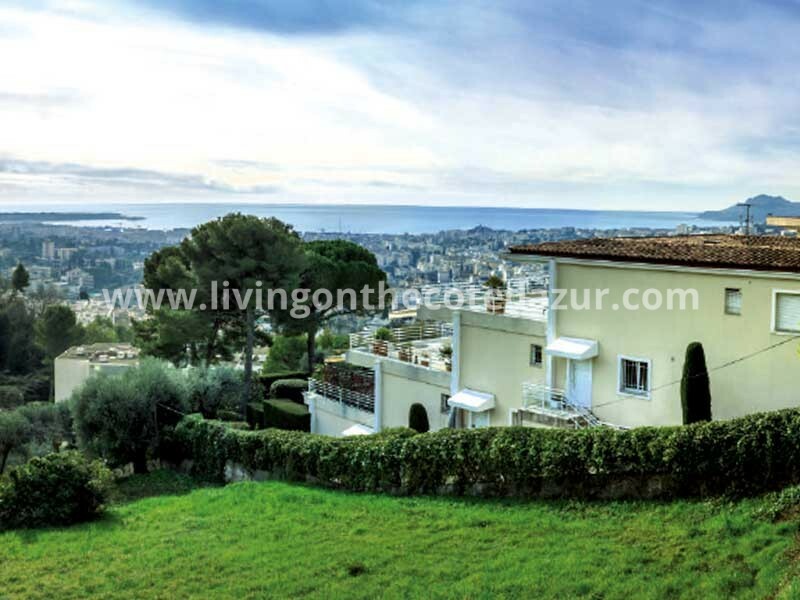 There is no other country in Europe where a buyer is so well protected as in France. 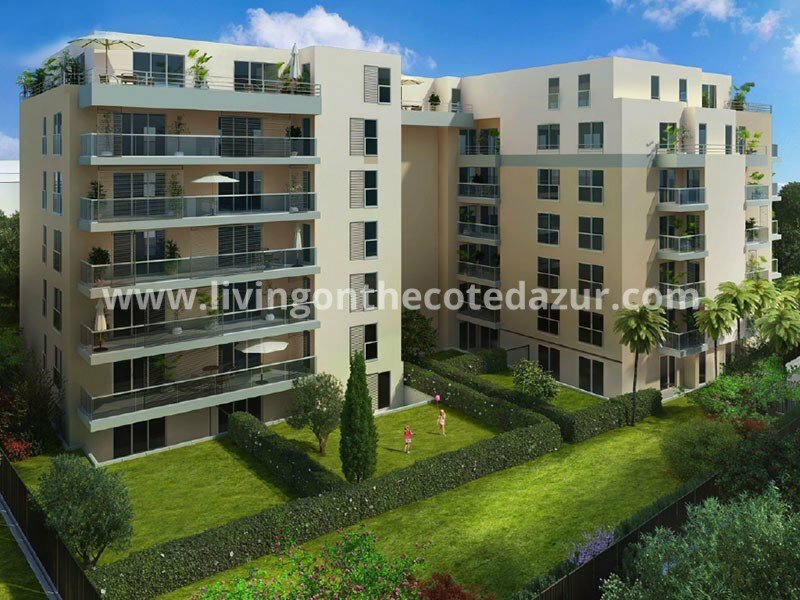 From the moment you are interested in buying a new build apartment, the French Law is on your side. 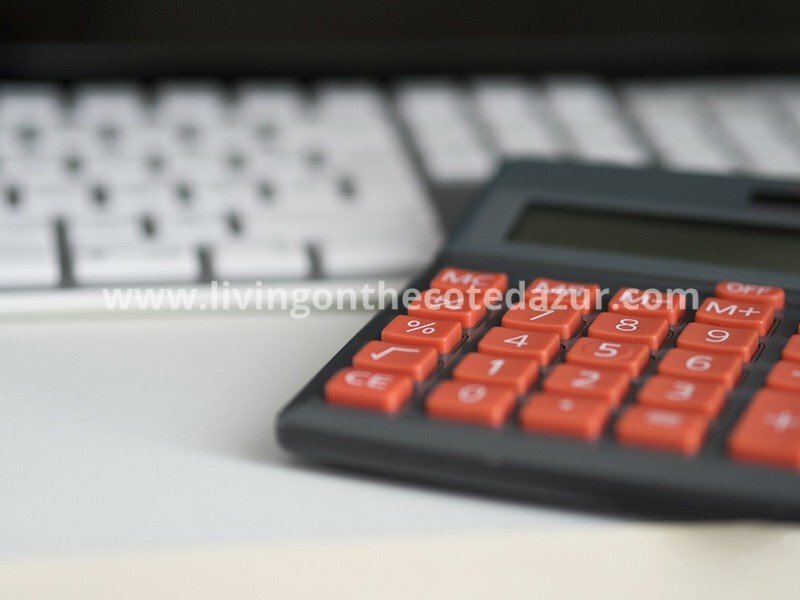 When you have agreed to a specific apartment with parking, garage or garage box, the price is written on a preliminary contract. This contract can be signed by proxy or in the office of the developer. Our clients are all foreign, so they will come and have a look and decide in the airplane on their way home, that they will buy it. 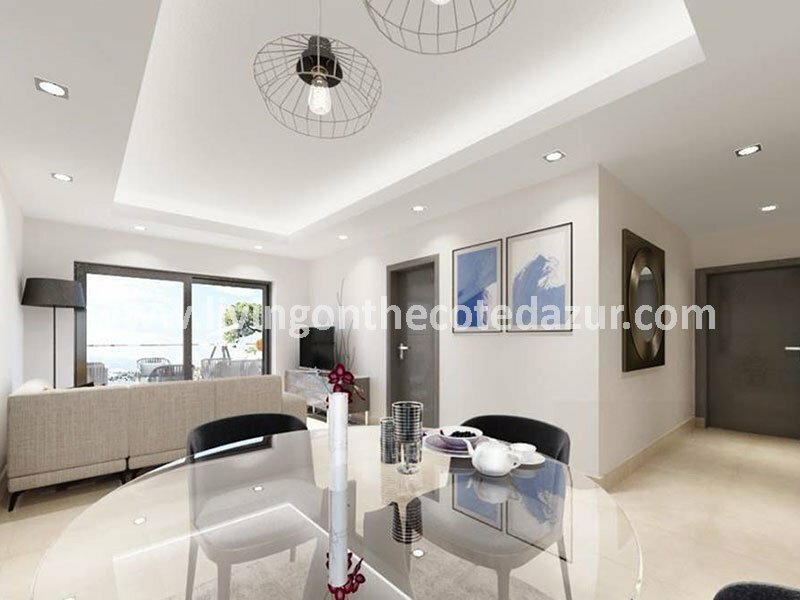 Your first action will be to confirm by e-mail that you want to buy the new build apartment or new build villa. With this e-mail must be your ID and your address. If you are married, it is necessary for the notary to know if your marriage was with the community of law, or different. You also have to pay a deposit as a token of goodwill. This deposit is generally 5% of the total price. 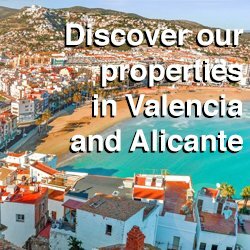 We will send you the reservation contract by mail containing the most important information such as the names of the buyer (s), the description and the price of the property and your marital status. You must print this in triplicate and paraphrase and sign each page. We will talk you through this contract by telephone. You asend a PDF of the completed reservation contract by e-mail plus all the papers in an envelope as a Recommendation Letter to the developer. 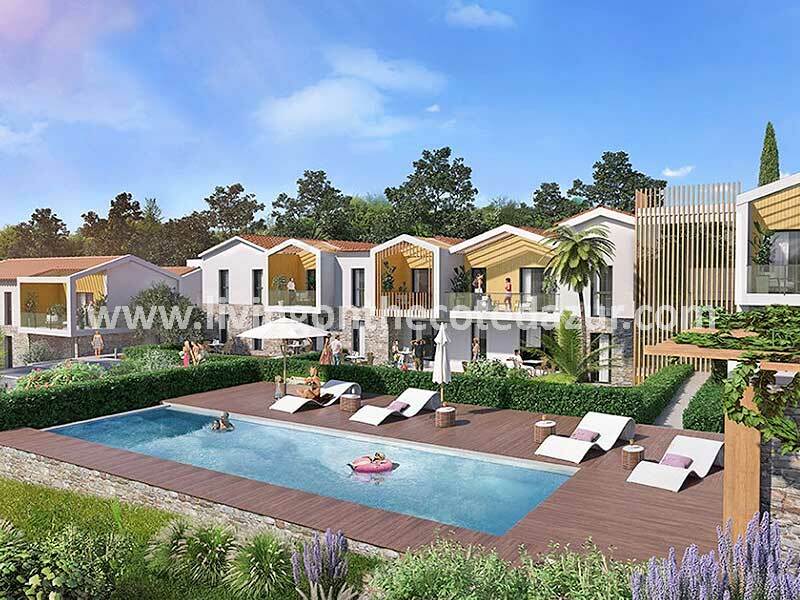 In the meantime, your 5% down payment has arrived in France, the developer now knows that you are serious about the purchase. The reservation contract will now be countersigned by the project developer. The doorbell will ring within a week: it is the courier from France. The DHL or UPS courier delivers the reservation contract that is countersigned and from the date you sign for receipt of the registered documents, you have another ten days to cancel the sale. Do you want to cancel the purchase within ten days? No problem, you send a registered letter and mail to the project developer and the money is returned within 2 weeks. When the ten days pass, you still have a month to find a mortgage. If you do not receive a mortgage, you can cancel the sales contract. To this end, proof of two, sometimes three banks, must be sent to the developer. You receive your deposit back and do not have to pay any costs. But, if you have a mortgage or the money, we will then make an appointment for you at the notary. Depending on the final date of delivery, the period can be up to 3 to 6 months later. At the notary, the final contract is the same as the preliminary contract. 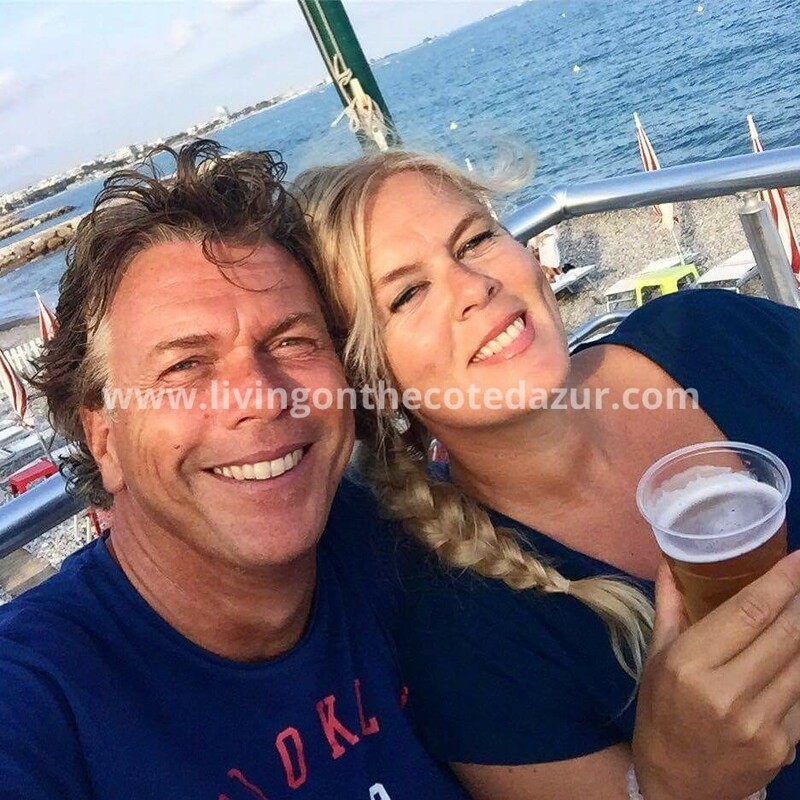 But now it is for real; you will get the contract, a payment schedule and most of the time, a bottle of champagne to celebrate the fact that you have become part of the most beautiful region on Earth; la Côte d’Azur! We all know the stories from the past where the project developer laughingly took your money and then left with the morning sun. Times have changed fortunately; the down payment is made on the bank account of the notary who ultimately also prepares the purchase contract. During the construction of the new building, every completed construction phase is checked by the architect. The latter gives his / her approval to the notary, who then informs the buyer to pay the next partial payment. The partial payments do not go to the project developer but to a National Guarantee Fund; they will transfer your partial payment to the project developer during the building process. Should the project developer go bankrupt during construction, then that is not a problem for you. 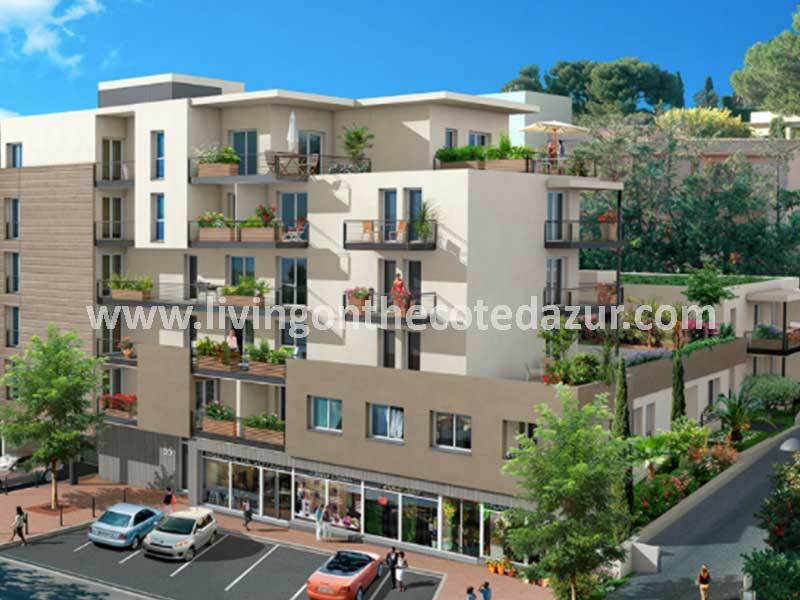 With the National Guarantee Fund, the progress of the new building is guaranteed and you get the key on the agreed date plus all the guarantees that have been agreed upon with the reservation. During the building process, we will be your eyes and ears on the ground. Specific wishes and/or progress of the building are carefully monitored. When the day comes that your keys are ready, we will be there to help you with questions regarding water, electricity, Internet and alarm systems.